The Wildcats, who were picked to finish last in the Pac-12 in the preseason coaches poll, come out of the nonconference portion of their schedule with a surprisingly solid 9-3 record. Arizona, however, hasn’t faced any quality opponents, so its early season games aren’t enough to go and pick the team to contend with just yet. Last year’s Wildcats were an injury-riddled, inexperienced group and it showed, as they went 10-20. Purely as a result of regression to the mean, however, it seems safe to assume Arizona will do at least a little bit better. The Wildcats also have some promising players on their team, especially in the backcourt where they are led by bench star junior Malena Washington and redshirt freshman Taryn Griffey, both of whom average about 11 points per game. Head coach Niya Butts loves to spread the minutes around, with 11 players on the team averaging at least 10 minutes per game. This gives the Wildcats the depth to have a consistently fresh five on the court and could help the team hold on better than most near the end of a long season. Even with these things working in its favor, Arizona is still inexperienced and doesn’t have the same caliber of player as the Pac-12’s best — after all, these are largely the same players who could only win three Pac-12 games last season — so contention will have to wait until at least 2016-17. Arizona State had one of its most successful seasons in program history last year, finishing the season ranked No. 9 in the country and second in the Pac-12 standings with a record of 15-3. The Sun Devils have four returning starters, with an additional four returning rotation players who played regular minutes last season for the team. Despite its returning core, No. 17 Arizona State was unable to dominate in nonconference play, finishing 9-3, due to the strength of its schedule, falling to No. 2 South Carolina and No. 7 Kentucky, both of whom are regarded as contenders for the NCAA championship. With the loss of Promise Amukamara, arguably the team’s top defensive player last season, the Sun Devils aren’t exactly the same team as they were last year. But, the continuity in the rest of their roster should help offset the loss. No. 19 Cal will go into the Pac-12 season with a 9-2 record and, after Wednesday’s 62-point win (not a typo), the Bears should be going in with some confidence. After losing Reshanda Gray and Brittany Boyd to the WNBA, Cal was expected to take a big step back this season. 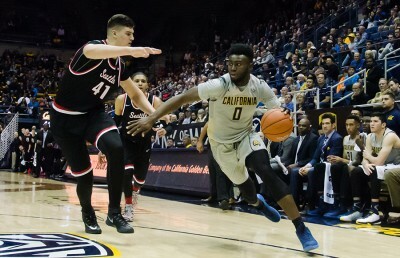 Despite being one of the more inexperienced teams you’ll find — the Bears have no seniors and only two upperclassmen — Cal seems to be rounding into form just in time to make a dent in the Pac-12 a season before most expected. 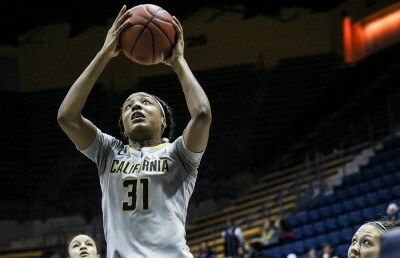 While it’s easy to give all of the credit for the Bears’ fast start to five-time Pac-12 Freshman of the Week award winner Kristine Anigwe, the team has seen stellar play from some other Bears as well. 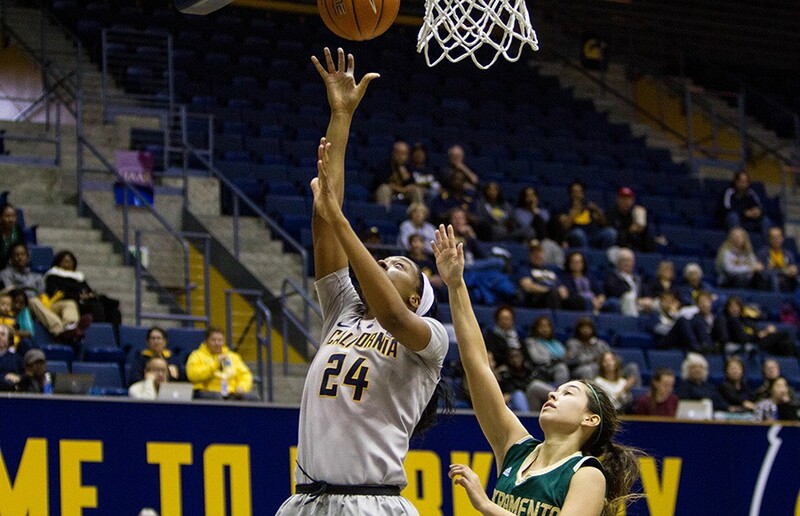 Sophomore Mikayla Cowling, freshman Asha Thomas and junior Courtney Range have all had impressive seasons and, along with future superstar Anigwe and sophomore Gabby Green, form a core that could be the favorite to win the Pac-12 in 2016-17. But this year, Cal’s youth will likely get in the Bears’ way and prevent them from developing the consistency needed to win the conference’s regular season title. A short rotation could also strain Cal’s starters and leave them too fatigued to hold on at the end of games and at the end of the season. The Bears do, however, have the sort of talent that gives them the ability to potentially string together dominant games, making them a dark horse to win the conference tournament. Despite all the concerns about their youth and inexperience, the Bears have been very impressive in the nonconference portion of their schedule. They’ve beaten two ranked teams in Louisville and UCLA and boast one of the top freshmen in the country in Kristine Anigwe. As with any young team, Cal should improve as the season progresses and with its deep roster, there’s reason to believe that it’ll be a threat in the Pac-12 conference. Given the Buffaloes’ weak play thus far, it looks like the 2015-16 season may be an arduous one for Colorado fans. At 5-6, the Buffs enter Pac-12 play three games worse than anyone else in the nonconference portion of their schedule. While two of its losses did come against current top-25 teams (Kentucky and Missouri), Colorado’s early season play has shown the team is feeling the effects of losing three starters from last year’s already disappointing 15-17 squad. The Buffs don’t figure to really find themselves in the thick of the Pac-12 race, but they do have a lot of the pieces to potentially pull off a big upset over one of the conference’s top teams. They have a big-time scorer who can put the ball in the basket even when defenses are keyed in on her in senior Jamee Swann, who is averaging 14.9 points per game this season and has only been held under double-digits once. And in junior Lauren Huggins — who took 94 percent of her shots from three-point territory last season — they have one of the nation’s most prolific three-point shooters who can change a game if she gets hot. But on most nights, enough of these shots won’t fall to topple the strong teams in a deep Pac-12, and Colorado can expect to take a step back to being one of the biggest contenders to finish last in the conference. The Ducks, who finished 13-17 in 2014-15, entered this season surrounded by concerns about how effective their trio of highly touted freshmen could be early. Now, heading into the Pac-12 portion of its schedule at 11-0, the questions and attitude surrounding the program have changed. The hope is unmistakable. Can superstar senior Jillian Alleyne (18.9 points per game) make up for the team’s inexperience on her own? What happens if freshman Oti Gildon — the highest ranked recruit in Oregon history — hits her stride? Can Oregon really shoot more than 50 percent from the field all season (it’s at 52.4 percent right now)? In reality, Oregon State and Stanford are going to be much harder to beat than Utah Valley (which the Ducks only beat by 11). Pac-12 opponents are definitely not going to give up the same quality of shots that Portland State did when Oregon beat it by 63. Gildon, meanwhile has scored only 3.5 points per game and has had difficulty getting on the court. So the optimism around the Ducks may be a bit much right now. But it’s undoubtable that Oregon is better than it was last year, and that Alleyne is the real deal. That should be enough for the Ducks to rise into the top half of the conference. After winning the Pac-12 regular season title last season, Oregon State entered the year as the favorite to finish atop the Pac-12 standings once again. The No. 10 Beavers currently hold a record of 9-2, with their two losses coming in down-to-the-wire finishes against No. 3 Notre Dame and No. 13 Tennessee. Oregon State’s success starts with the two-way prowess of senior center Ruth Hamblin, who was named Defensive Player of the Year last season. In addition, the Beavers boast two potent long-range threats in senior guard Jamie Weisner — the team’s leading scorer with an average of 17.7 points per game — and junior guard Sydney Wiese. As a team, Oregon State averages over seven triples per game at a clip of 37.2 percent. The Beavers have taken care of lesser opponents whom they were expected to beat, but they’ve struggled against elite competition. With a deep Pac-12 this year, they’ll have a much tougher road to the title. What’s that old saying? Death, taxes and . . . what’s the third one? Oh, that’s right, Stanford in the Sweet Sixteen. These are three of the world’s true certainties. The Cardinal reached at least the Sweet Sixteen for the eighth consecutive time last year. And you shouldn’t expect anything different this season, with No. 11 Stanford still helmed by head coach Tara VanDerveer and returning three key starters and nine players overall. The Cardinal got off to their typically solid start this year, going 10-2 against a strong group of nonconference opponents, including now-No. 13 Tennessee. Junior Lili Thompson, who had 19 points against the Lady Vols, leads the team in scoring and is capable of converting from well beyond the arc. She is 10th in the Pac-12 in scoring and fourth in made threes per game, but she has not played to her full potential, shooting less than 40 percent from the field thus far. Once Thompson gets it rolling and starts playing more efficiently, like fellow juniors Erica McCall and Karlie Samuelson, Stanford will be a truly dangerous team that can not only win the Pac-12 but also contend for a national championship. No. 21 UCLA is a dark horse contender to take the Pac-12 title this season. Led by what may be the nation’s best duo of guards in Jordin Canada and Nirra Fields, the Bruins are 9-3 and already notched their first conference win of the season, when they handed USC its first loss Wednesday. Fields and Canada pack the scoring punch to give UCLA a chance against anyone (O.K., not Connecticut). The Bruins’ starting backcourt has combined for a stellar 35.5 points per game this season. With these stars shining so bright, why aren’t the Bruins the favorites to win the Pac-12? One need merely look at the three-point line to see where UCLA’s problems arise. While UCLA has put up an impressive 82.7 points per game so far, it has done so in spite of some legitimately bad three-point shooting; the Bruins are firing at only a 30.2 percent clip from beyond the arc. In fact, this isn’t just bad — it’s potentially crippling. The smartest defenses will ignore the threat of a three-point shot against UCLA and instead focus on blocking off the paint so Canada and Fields can’t drive into the lane every possession and create easy shots. If the Bruins can’t step up their shooting, it will prove to be the achilles heel that keeps them from the top of the Pac-12. In the latest women’s basketball rankings, USC received the most votes of any school that failed to make the top 25. With an impressive 12-0 record, the Trojans were one of only two teams in the Pac-12 this season to make it through nonconference play undefeated. Through its first 12 games, USC was dominant, with a plus-25.8 scoring margin that would make even this year’s Golden State Warriors feel inadequate. Its success, however, can’t be attributed to one star player; USC has benefited from balanced scoring efforts, with four of its players holding double-digit scoring averages. Despite their immaculate record, the Trojans have yet to prove themselves against elite competition, completing the nonconference portion of their schedule without facing a single ranked opponent. The Pac-12 currently features five teams in the top 25, and it won’t be surprising if USC starts to struggle in the early weeks of conference play, something that has already manifested itself in the Trojans loss to No. 21 UCLA on Wednesday. After finishing last in the conference last year, Utah fired its head coach and hired Lynne Roberts, who previously coached Cal State Chico and the University of Pacific. The coaching change has improved the team’s offense drastically — the Utes are currently averaging more than 70 points per game, a mark they hit just twice last year. One of the reasons Utah has been much improved is the addition of redshirt sophomore forward Emily Potter, who at 6 feet 6 inches, has been the team’s leading rebounder and one of the top rebounders in the country, grabbing 12.1 boards per game. Potter has also been the focal point of the team’s offense, currently leading the team with 18.1 points per game. With an 8-3 record through nonconference play, Utah appears to be better than it was last year. As the players adjust to the new system implemented by Roberts, there’s reason to believe that Utah will look more polished as the season progresses. Last year, Washington made its leap into the upper tier of Pac-12 teams, finishing 11-7 in conference play and qualifying for the NCAA tournament. The Huskies are reaping the benefits of continuity this season, as their roster features 10 returning players, including three starters. In 11 games of nonconference play, Washington finished with a respectable 9-2 record, including close losses to No. 18 Oklahoma and Syracuse. The Huskies have pushed their record to 10-2 after beating Washington State in both teams’ conference opener. The Huskies are led by junior guard Kelsey Plum, a lethal offensive player who currently leads both her team and the nation in scoring at 28.1 points per game. Plum also leads the team in assists, averaging four per game. As the team’s primary ball-handler, however, Plum has been turnover prone and needs to work on taking care of the ball for the team to achieve its potential. After finishing seventh in the Pac-12 regular season standings last year, Washington State will look to improve upon its 7-11 conference record. The Cougars are off to a strong start this season, going 9-2 in nonconference play before losing to Washington on Wednesday. Washington State’s other losses came on the road against a pair of unranked opponents in Saint Mary’s and Oklahoma State, which is cause for concern given the strength of the Pac-12 this season. Washington State’s offense revolves around its versatile star freshman, forward Borislava Hristova from Bulgaria. Hristova has been the team’s leading scorer by a wide margin, averaging 17.9 points per game with the next leading scorer, senior guard Dawnyelle Awa, managing just 7.6 points per game. While Hristova has been efficient from the field, shooting more than 51 percent, the team’s offense has been shaky and struggles to find good shots.